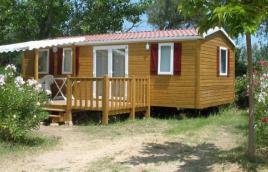 If you love nature and like to socialize, you will find here a list of the Corsican Campsites , i.e. 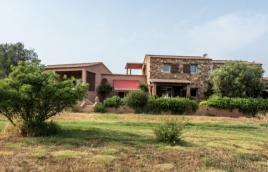 campsites in southern Corsica and campsites in Upper Corsica. 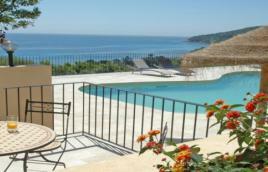 These campsites all over Corsica suit all budgets. Be it on the waterfront or in the mountains on the banks of a river, Corsica has a whole range of open-air accommodation for your camping holidays. 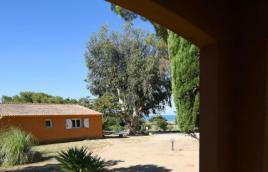 -Campsites with tent sites only, exclusively for campers, like the one in Santa Severa in Cap Corse. Ideal for small budgets, as well as for lovers of “camping under the stars”. -campsites with, of course, sites for tents, for caravans and campers, but where you can also rent a caravan, rent a bungalow or rent a chalet with or without air-conditioning, and even rent a trailer like in Porto or a yurt in Porto-Vecchio. On Corsican campsites a whole range of activities is at your disposal. There is family camping or family campsites with playgrounds for the children, kids clubs, swimming pools with water games and water slides as well as tennis courts. 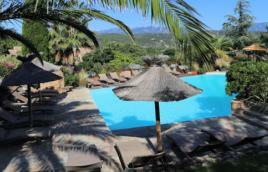 Some campsites in Corsica even have heated swimming pools for out-of-season holidays. There are also naturist campsites right on the waterfront, campsites with fitness centres or campsites with spas. Now all you have to do is choose the campsite that suits your budget for your camping holiday in Corsica. From inexpensive campsites to 4 star campsites. Be it a holiday in nature or a holiday in comfort, you can take advantage of the best thing Corsica has to offer, its nature!